Another frequent guest on our list ranks at the second place, number 099204056. 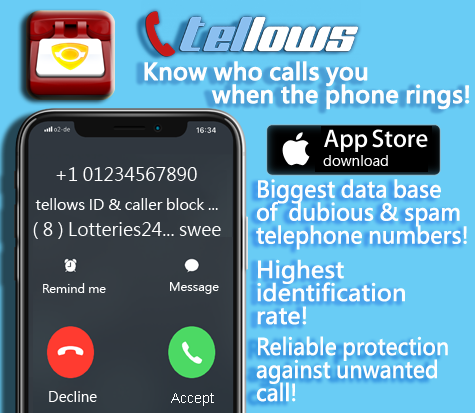 Calling from Auckland, New Zealand, many of you wrote about unsolicited telemarketing calls that are made under this number and with a tellows score of 7, most of you have deemed it untrustworthy. Holding a score of 5, our last and final number for this week, 0242316708, seems to conduct surveys and doesn’t appear to be particularly dangerous. Still, be careful not to give away too personal information – user Michael warned that it might still be a hoax. With that, we hope you have lovely and peaceful weekend without any telephone nuisance. But if you do receive an unsolicited or harassing call, you know where to report it! 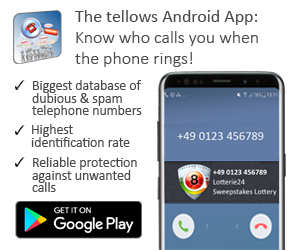 This entry was posted in Weekly Top 3 Spam and tagged annoying, Australia, New Zealand, News, nuisance calls, phone number, scam numbers, spam, statistics, Tellows, Tellows score, weekly update on Friday August 30th, 2013 by Luise.